It’s official. The struggling Bombardier C Series regional jet is no more. Bedecked in its new livery and renamed the Airbus A220, the jet conducted a low-level flypast before media from around the world before touching down at its new home in Toulouse, France on Tuesday in what the European planemaker’s commercial aircraft president Guillaume Faury described as a historic moment, not only for Airbus but for the aviation industry as a whole. 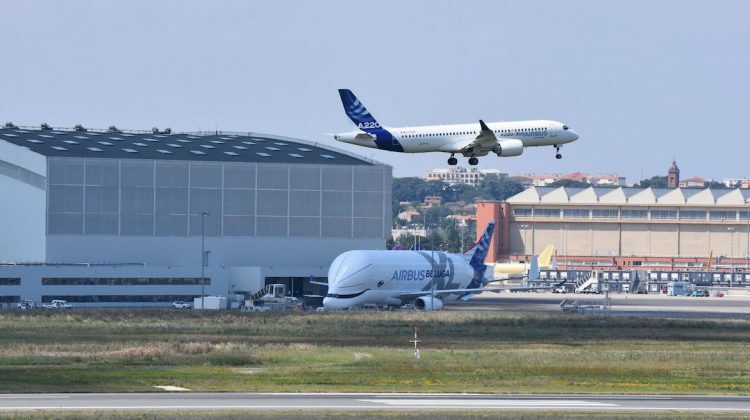 The event marked the first salvo in what promises to be a new competitive arena between bitter rivals Airbus and Boeing with both entering the 100-seat regional jet sector for the first time, though Toulouse has a significant head start. Boeing announced earlier this month it is attempting to form a joint venture with Brazil’s Embraer – it’s E-jets are the main rival to the former C Series – with Boeing set to own 80 per cent of the new company and Embraer taking the remaining 20 per cent. That deal would value the new JV at some US$4.74 billion but it is not expected to be finalized until the end of calendar 2019. In the meantime, Airbus says it will fully integrate the A220 into its single-aisle family of aircraft, slotting in below its existing A319 and the A320 series of jets. Airbus’ David Dufrenois, Head of Sales for the new addition, made it clear there will be an all-out marketing effort to get new customers for the A220. 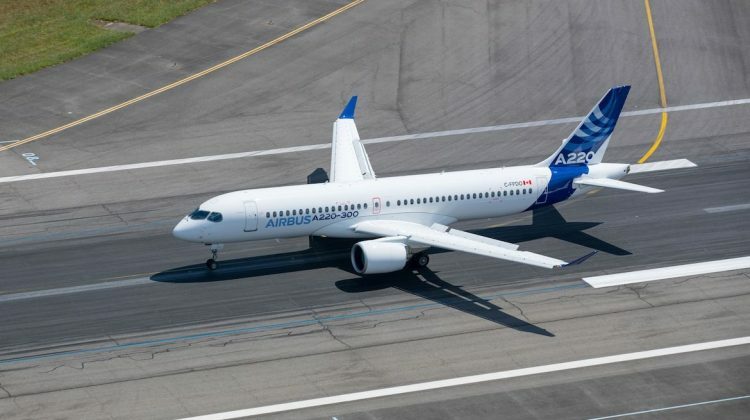 Sales of the Bombardier C Series have been relatively poor, with a total of 402 orders. Of those, 38 have been delivered to three carriers, leaving a current backlog of 364. These numbers will have to increase dramatically if production at the assembly line at the Mirabel, Québec plant in Canada and a new assembly line being built in Alabama in the United States are to become economically viable. Only 17 C Series aircraft were produced last year, although Airbus says this will double in 2018. 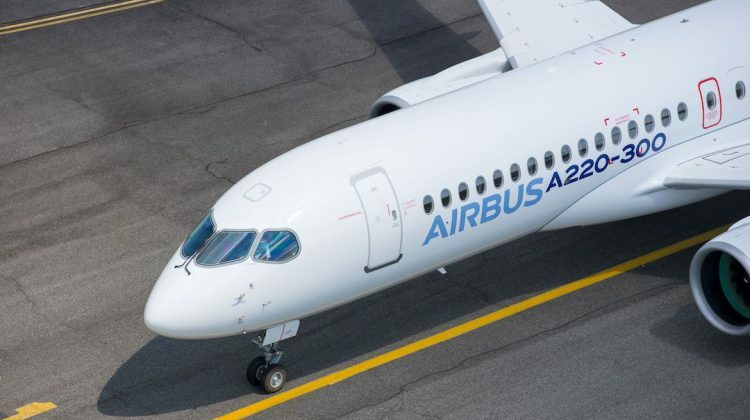 The A220 family comprises two models, the A220-100 (100-135 seats) and A220-300 (130-160 seats), formerly Bombardier’s CS100 and CS300. 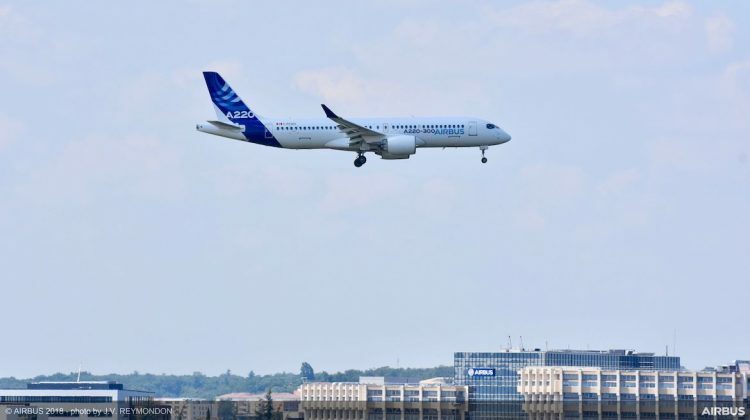 The aircraft are fully optimized for the that segment of the market and Airbus argues they perfectly complement Airbus’ existing best-selling A320neo family. 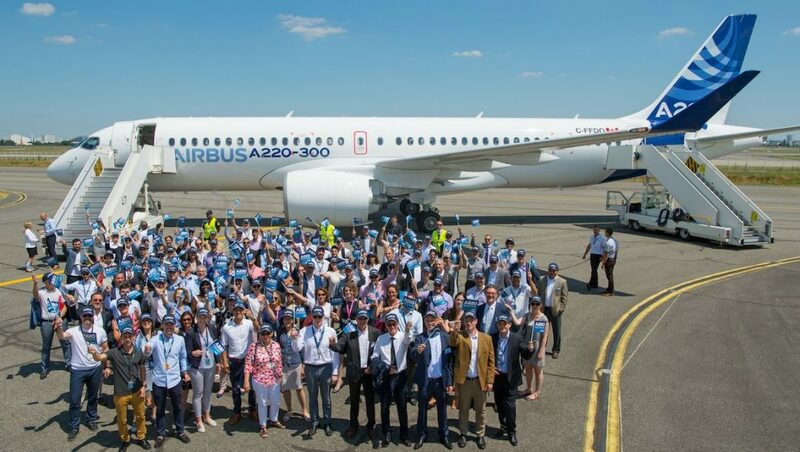 “Everyone at Airbus has been looking forward to this historic moment,” Faury said after the arrival of the first A220-branded aircraft, an A220-300 with Canadian registration C-FFDO, in Toulouse. “Today, we are thrilled to welcome the A220 to the Airbus family and are honoured to see it wearing its new Airbus colours for the first time. VIDEO: Airbus staff welcome the Bombardier C Series in a promotional video from the Airbus YouTube channel. Airbus has moved extremely quickly to present its new baby to the world since the deal with Bombardier was finalised on July 1. 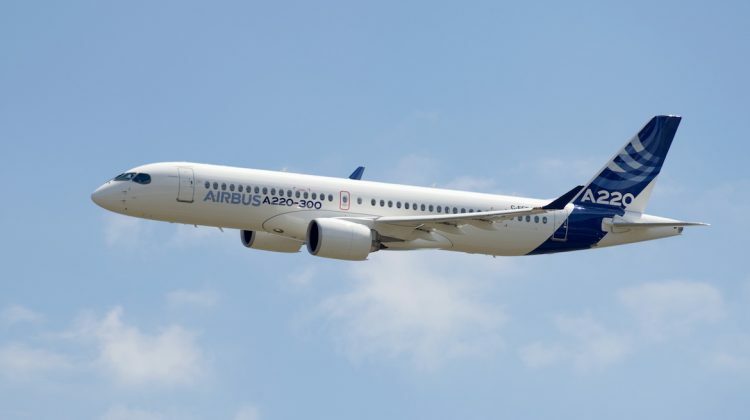 It saw Airbus take a 50.01 per cent majority stake in the new company, known as the C Series Aircraft Limited Partnership (CSALP), with Bombardier and the Quebec governments investment arm, Investissement Québec, owning approximately 34 per cent and 16 per cent, respectively. CSALP’s head office, primary assembly line and related functions are based in Mirabel, Québec. Despite Airbus’ enthusiasm, many analysts believe its move into the smaller jet sector is fraught with risk. About 40 per cent of A220 production is expected to be delivered to airlines in North America in the short to medium term. But both Bombardier and its rival Embraer have been trying for years to make inroads into the world’s fastest growing airline market, the Asia Pacific, with little success. There, carriers, both large and small, have been fixated on A320 and Boeing 737 types, eschewing the smaller offerings. Bombardier’s only Asian success is Korean Air, which has five C Series jets. The other two operators are based in Europe in airBaltic and Swiss. 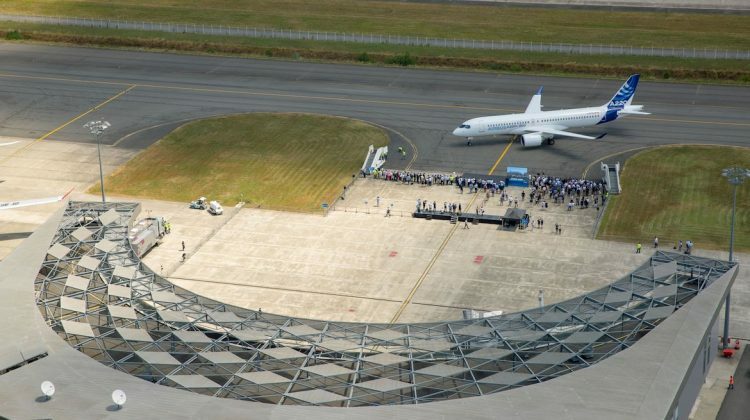 VIDEO: The official ceremony in Toulouse welcoming the Airbus A220, as shown on the Airbus YouTube channel. Airbus announced after the official ceremonies for the A220 that US carrier Jetblue had signed a Memorandum of Understanding (MoU) for 60 A220-300 aircraft, to be powered by Pratt and Whitney GTF engines. 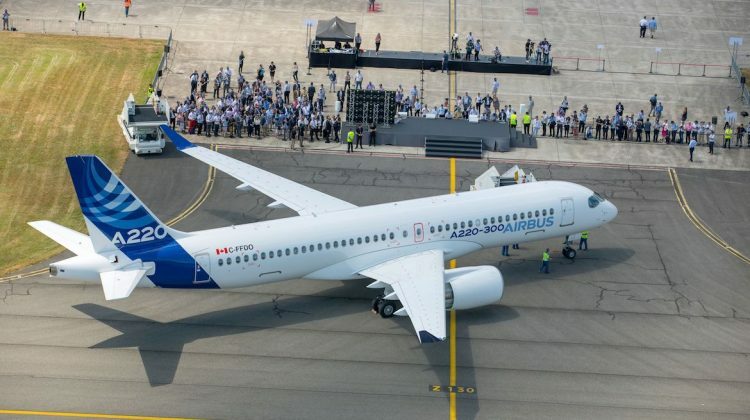 The MoU suggests Jetblue planned to replace its 60 Embraer E190 with the former Bombardier C Series aircraft. I like airbus but wish they had left it alone. It doesn’t sound right, plus it looked better in the Bombardier house colours. Wow this has really backfired for Boeing! Airbus is able to hit the ground running with a flying aircraft and has snagged another of the major US carriers. Boeing meanwhile is only just forming a JV for an aircraft that isn’t even on a drawing board yet (because I doubt Embraer will let them have the E2). Question is will anyone down here actually buy them? Surely it has to tick some boxes on the long regional routes we have here that are either over catered with a 737/320, long sectors on a turbo-prop, or mean getting onto an old F100 or slightly more modern 717. Garuda has 18 CRJ 1000s… are they are variant on the 100/200 that will be captured under the A220 banner too? Jake – The CRJ programme is not part of the the Airbus/ Bombardier C series JV company. CRJs are not part of the Airbus acquisition. Airbus acquired 50.1% of the CS project not Bombardier.